Seabuckthorn Butter is yellow orange sami-solid butter made with sea buckthorn oil cold pressed, hydrogenated vegetable oil, medium chain triglycerides and vitamin E oil natural. Solid at cold temperatures and clumpy at room temperature because of its unique constituent profile. Seabuckthorn butter is believed to contain Vitamin C, Vitamin E, unsaturated fatty acids and essential amino acids, along with beta-carotene, which gives it their bright yellow orange color. Common Usage:-Creams, lotions, body and lip balms, bar soaps. It can be used in all manners of skin and hair care products where the healing benefits of sea buckthorn butter is desired.The creamy yellow orange texture of sea buckthorn butter exhibits excellent spreadability. 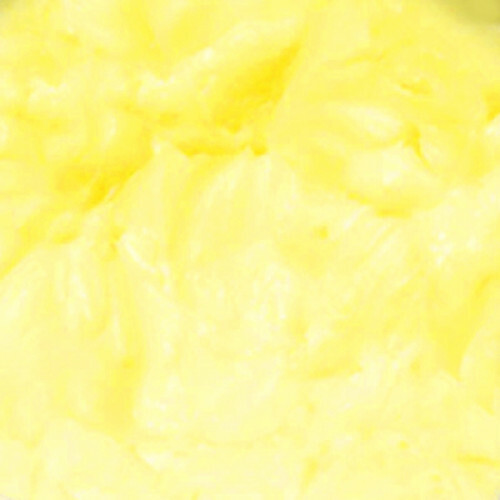 making it ideal for moisturizing body butter for mature and troubled skin. It Can Be used in the following skin issues Stretch marks, UV damage from overexposure to the sun, Scars from surgery, burns, and acne, Eczema, Psoriasis, Wrinkles and premature skin aging and Hyperpigmentation.